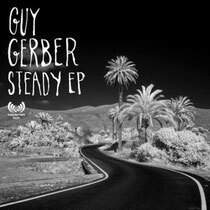 Following his fabric mix CD this summer, and his first single for his own Supplement Facts in two years, ‘Steady’, Guy Gerber will tour America this November, playing seven shows, kicking off in New York on November 21 at Verboten. Coinciding with the ‘Steady’ release, Gerber is unveiling a new artistic partnership between his Supplement Facts label and photographer Martin Zalba Ibáñez. Since its launch in 2007, each of Supplement Facts’ 30 releases have been accompanied by specially commissioned black and white illustrations. Starting with ‘Steady’, Ibáñez will shoot an exclusive series of black and white cover art photos for forthcoming Supplement Facts releases. Recorded in his LA studio, Guy’s fabric mix is a brave journey into Gerber’s soul, along lushly sound-scaped freeways. It certainly makes Gerber the less obvious choice for a P Diddy collaborator, but the two have been working on the mysterious ’11-11’ project, which hopefully will be released before year-end. On the heels of fabric, comes ‘Steady’, electronic music at its most heartfelt. dOP’s highly talented Jaw, lends a haunting vocal, that when laid-over Geber’s beats and melodies, makes a track equally capable of moving your heartstrings as it will your feet.